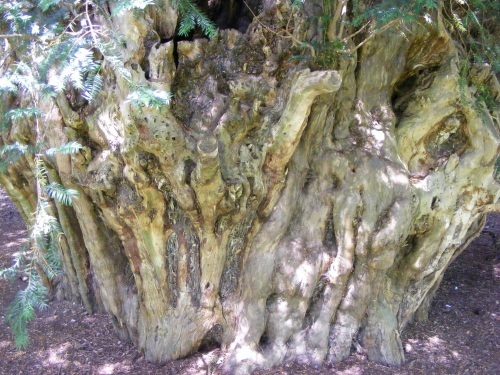 Tony Hall has found several important yews along the Thames in his new book The Immortal Yew. We tend to forget that the maze at Hampton Court is now yew since the original hornbeam was repaired with yew fifty years ago. Upstream the yew is much older. The Ankerwycke yew, soon to be accessible by ferry from Runnymede, probably hosted the sealing of Magna Carta in 1215. It was already well over a thousand years old. The yew in Iffley churchyard is said to have inspired Lewis Carroll to write Alice in Wonderland. The book features the 40 foot high yew hedge at Cirencester not far from the Thames Head source. The Immortal Yew by Tony Hall is published by Kew (£25).